Lessons for Cooperative Extension? 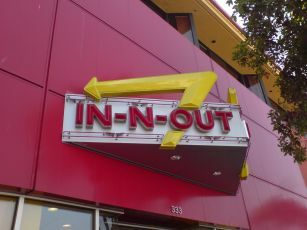 Harvard Business Professor Youngme Moon credits In-N-Out Burgers as one of the nation's most successful reverse brands. What could the expansion of a West Coast burger chain into Texas possibly have to do with the future of Cooperative Extension? In general terms, very little; in branding terms, possibly everything. In-N-Out Burgers has mastered reverse-position branding like virtually nobody else’s business, says Harvard marketing expert Youngme Moon. If reverse branding is a new term for you, think of Google, which Moon cites as the embodiment of this concept. Before Google, the crowded textual landscape of Yahoo’s homepage was THE embarkation point for Web searches. Google changed all that — and in a very unique and unexpected way. As Moon relates in her book, Different: Escaping the Competitive Herd, Google creators made a conscious decision to deliver the cleanest possible homepage, one free of the vast clutter that characterized the homepages of Yahoo and other search engines. Google had determined to employ reverse position branding. They had undertaken a deliberate decision to withhold benefits that other competitors considered essential for survival. So, one might ask, what differentiates reverse branding from run-of-mill stripped down, bare-boned discounters? Extravagance, Moon says. Reverse branders give something — some form of extravagance — even as they take away. For its part, Google takes away a textually dense homepage but compensates with lightning fast searches. In-N-Out Burgers employs a similar strategy — no Happy Meals, no children’s menus, no salads, no desserts — just a menu of only 6 items. Yet, as legions of In-N-Out aficionados will attest, these six items, which have not changed in years, are special — extravagant. Each is made from scratch, using fresh ingredients. In a dramatic break with common practice, customers can also request items off a secret menu, the contents of which have been revealed only through word of mouth. It’s worked: Some In-N-Out enthusiasts eagerly confess to driving hundreds of miles for a taste. Moon credits In-N-Out, along with a handful of other companies, with accomplishing something extraordinary: They have conditioned their customers into becoming active missionaries for their brand. The brilliance behind reverse brands is its crystallizing effect, Moon says. By eliminating all the extraneous stuff — in the case of In-N-Out, Happy Meals, Kids Meals, etc. — In-N-Out has cast new light on its fundamentals. That’s what all successful reverse branders do, Moon says. Is there a lesson here for Extension? Perhaps. One key insight I gained from Moon’s book is that differentiation will be emerge as a critical branding consideration in the 21st century as consumers deal with a surfeit of messages of all types. That raises the question: What can Extension do to differentiate itself from the rest of the competitive herd? Are there advantages in reverse branding? Could we derive some immense advantage for ourselves and for our clients by focusing on the fundamentals, those things we’ve done exceptionally well over the last century? Of course, that raises another critical question: What are those fundamentals? One facet of the book that especially piqued my interest was Moon’s treatment of the success In-N-Out and a handful of brands have had in enlisting their customers as active missionaries for their brand. We’ve enjoyed an active commitment from our own clients, especially our volunteers — and most especially from our 4-H and Master Gardener alumni and volunteers — for decades. They have been active missionaries for the Extension brand. Incidentally, that brings me back to yet another issue I raised in an earlier piece about Moon’s book: We began as a movement initially conceived and executed by volunteers — compared with other government entities, a unique legacy, to say the least. How could this uniqueness contribute to future branding efforts? How could this uniqueness help us differentiate ourselves from others?